Thank you for visiting the Bureau of Veterans' Services! We hope that this site helps you find answers to your questions about the state and federal benefits you have earned for yourself and your family. Please visit us anytime at our central office at Camp Keyes in Augusta, or at our seven dedicated field offices and itinerant locations, stretching from Caribou to Springvale. To fulfill your request, the Maine Bureau of Veterans’ Services may require the need to contact State and Federal agencies on your behalf. 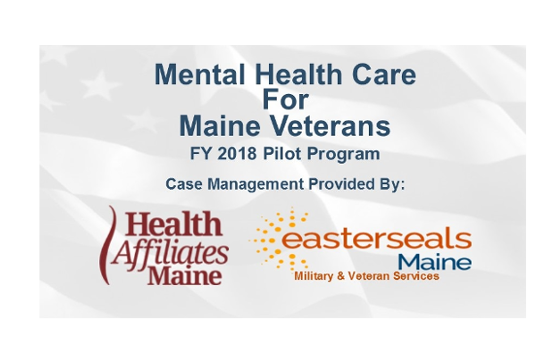 By contacting our office, you understand and acknowledge this possibility, and authorize the Maine Bureau of Veterans’ Services to work on your behalf. 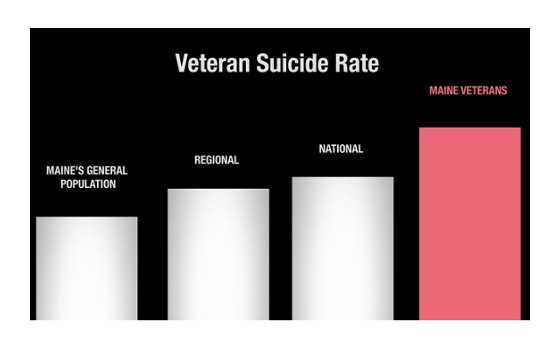 Suicide Prevention and Awareness -- Click slider image to view video. I'm fine and I think someone else needs VA services more than I do. Why should I file a claim? I'm not sure what my state and federal benefits are, how can I find out? I have an immediate need for money to cover heat/car repairs/rent. Does anyone in Maine offer that kind of help? I feel isolated since I left the service, how can I connect with other veterans? I'm thinking about getting my degree, or applying for a technical certification. Are there programs near me that accept GI Bill Benefits? What about education programs for my spouse or children? I'm looking for work and trying to figure out how my military skills can help me get a job. Can anyone help me find work? I'm dealing with a lot of anger and I don't want to take it out on my family, where can I go for help? 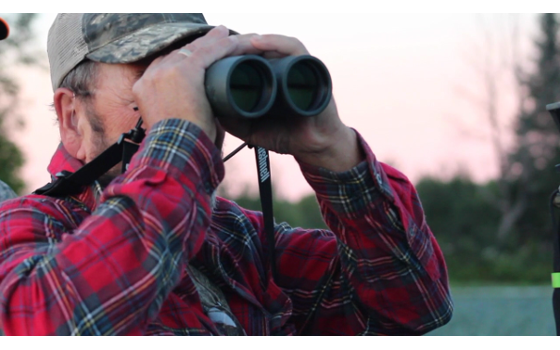 Are there veteran discounts on hunting and fishing licenses in Maine? What about adaptive sports programs? I'd like to help my family anticipate my needs for long-term care and burial. Where should I start? My spouse/parent is a veteran, are there any programs that can help me pay for my education? As the spouse/child of a veteran, am I eligible for healthcare coverage? 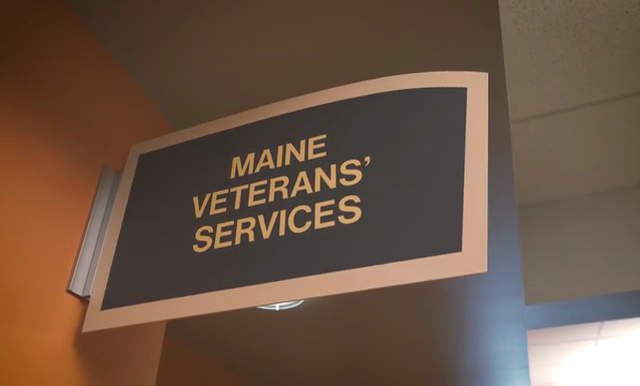 Does Maine offer any employment assistance for spouses of veterans? Other family members? My veteran spouse/child/parent is struggling with PTS and/or a TBI. Where can I find people to talk to who know what I'm going through? My spouse/child/parent is in the Maine National Guard, how can I find out about programs that we can take advantage of? I'm the primary caregiver for my veteran spouse/parent/child, are there any supportive programs for me? I'd like to apply for spouse/dependent programs, but I don't have my veteran family member's DD 214 or other military records, where can I get copies? Who can help me navigate the programs and services available to survivors? 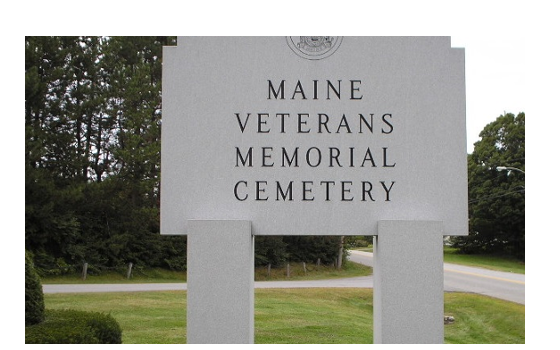 How can I arrange for my veteran family member to buried in Maine's Veterans' Cemeteries? Can I or my other family members be buried there? What financial assistance exists for survivors? How can I honor my family member who died in service? 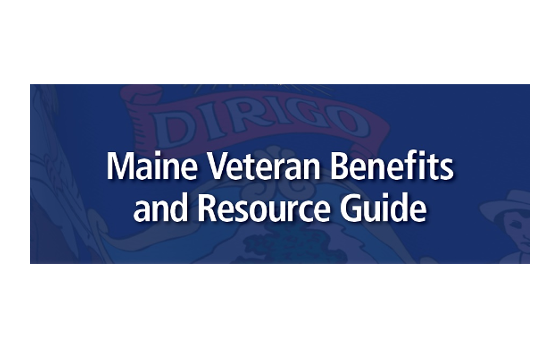 I'm the primary caregiver for my disabled veteran family member, are there resources in Maine that can help me? I'm about to leave active duty and I'm not sure what my next step is. What about services for retirees who are transitioning? 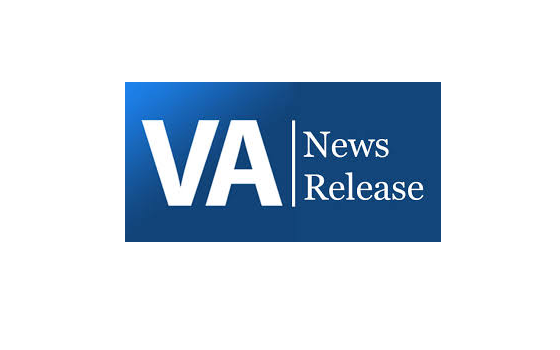 Am I eligible to file a VA claim? Are there schools in Maine that will accept my GI Bill benefits? How do I find a civilian job? Are there ways for me to connect to other veterans? I'm considering joining the Guard or Reserve when I arrive in Maine, who do I contact? Where can I go for shelter, transportation, financial help? How can I promote my job opportunities to veterans? Are there tax benefits to hiring veterans? The Work Opportunity Tax Credit (WOTC) is a Federal tax credit available to employers for hiring individuals from certain target groups who have consistently faced significant barriers to employment, such as veterans. To learn more visit https://www.doleta.gov/business/incentives/opptax/ or the enclosed Fact Sheet on tax credits for hiring veterans. I'd like to learn more about military/veteran culture, are there resources available? The Department of Labor provides a "Military 101" training program, which provides employers with education on military culture, along with strategic information on how military expertise and skill sets can translate to civilian employment. 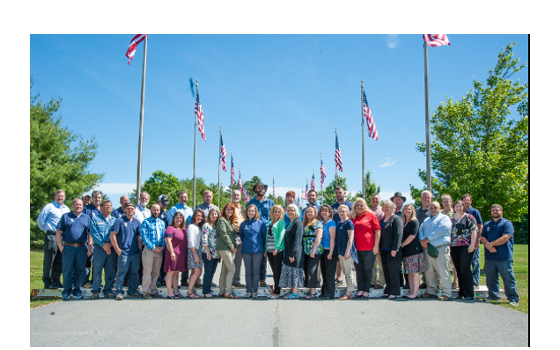 If you would like to schedule a training workshop for your organization, please contact Auta Main at Auta.M.Main@maine.gov As of August 2017, the Department of Labor is working on an advanced "2.0" version of the military culture training that will focus on further onboarding and retention of veteran employees. More details will be posted here as that program develops. How can I network with other employers to learn about their veteran hiring and retention practices? How can I promote that we are a veteran/military-friendly workplace? Employer Support of the Guard and Reserve (ESGR) operates a robust employer recognition program to honor outstanding hiring of, and support to, service members. ESGR also functions as a trained, impartial ombudsman to resolve conflicts between employers and service members.